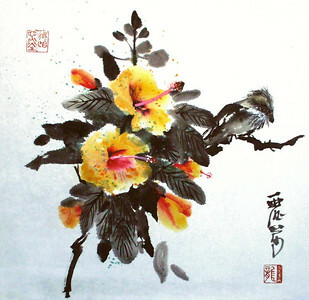 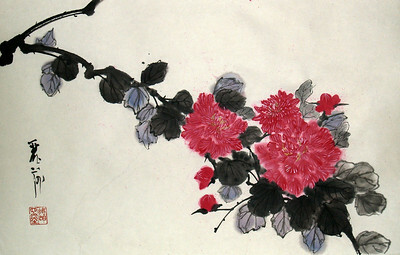 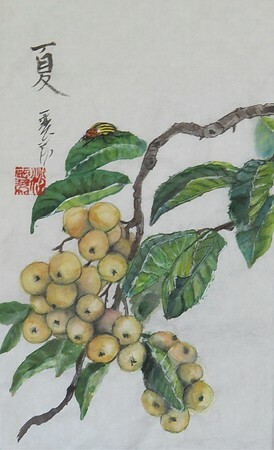 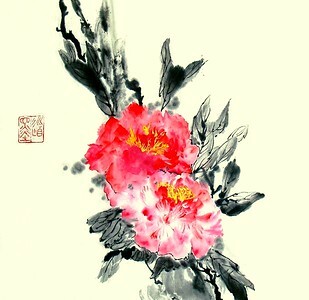 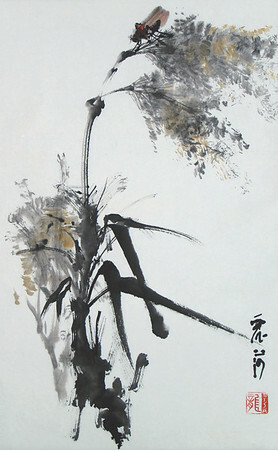 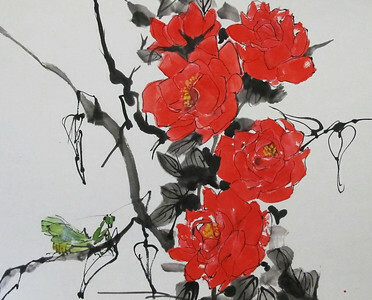 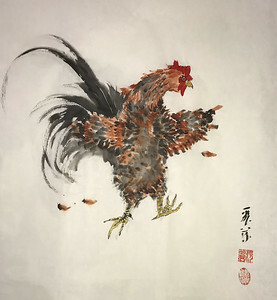 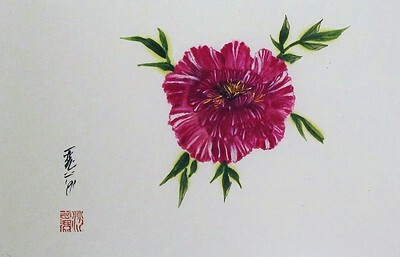 Brush paintings in Chinese ink and watercolor. 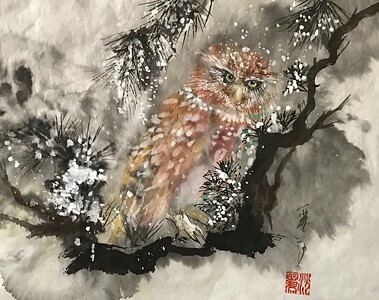 All originals are for sale unless otherwise noted. 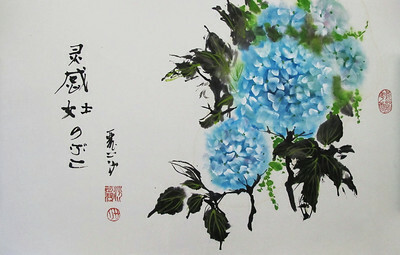 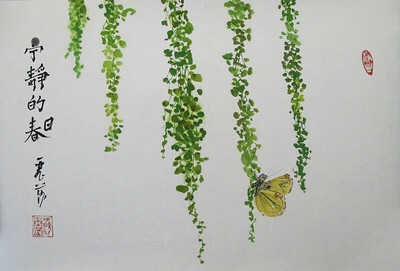 Wisteria, 23.75" x 10.25", Chinese ink and watercolor on xuan paper,mounted. 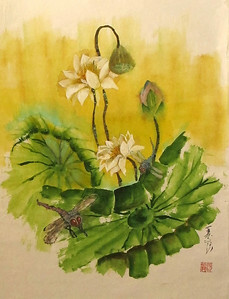 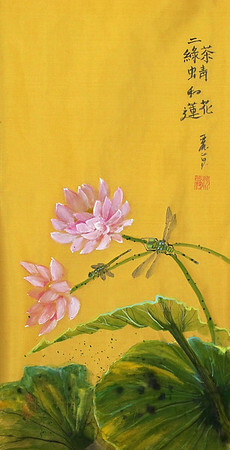 Two Matcha Green Dragonflies with Lotus, 26 x 13.75 inches, Chinese ink, watercolor on silk. 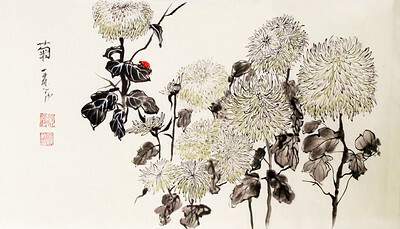 Where are the Lotus?, 24: x 18", Chinese ink and watercolor on Chinese "unryu" - cloud dragon paper!. 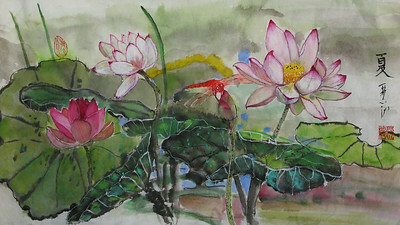 Homage to the lotus of Echo Park which, tragically, are no more.. 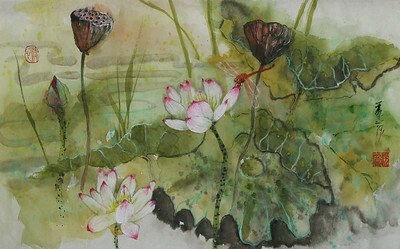 Note: Update: as of July 2014 the lotus are in bloom once again in Echo Park lake, after their mysterious disappearance for about 6 years. 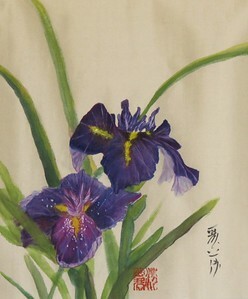 This painting was to honor the missing aquatic beauties. 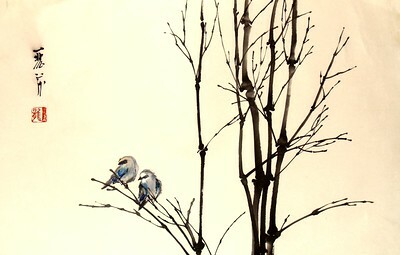 I am so thrilled to find they have returned! 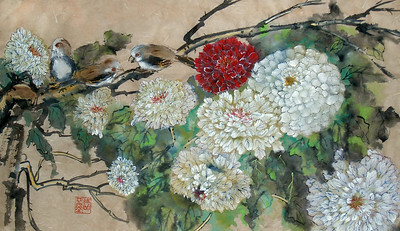 23.5 x 26, Chinese ink and watercolor on beige xuan paper with gold flecks. 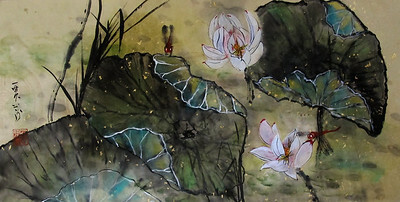 Lotus and Scarlet Darters: Chinese ink and watercolor on beige Xuan paper with metallic flecks 13.5 x 26 inches. 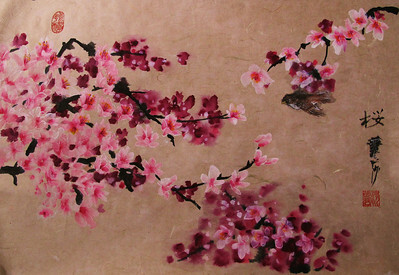 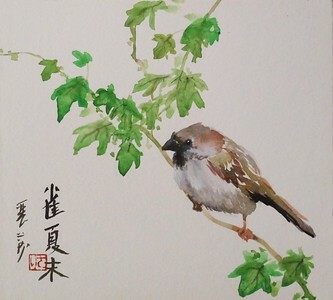 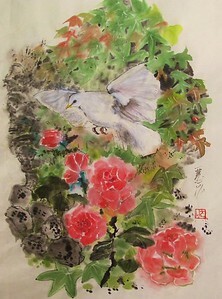 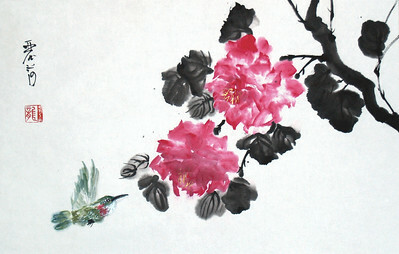 Sakura and Sparrow: Chinese ink and watercolor on beige unryu ("dragon cloud") paper. 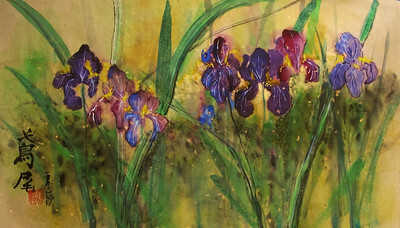 15 x 22 inches, dry mounted.